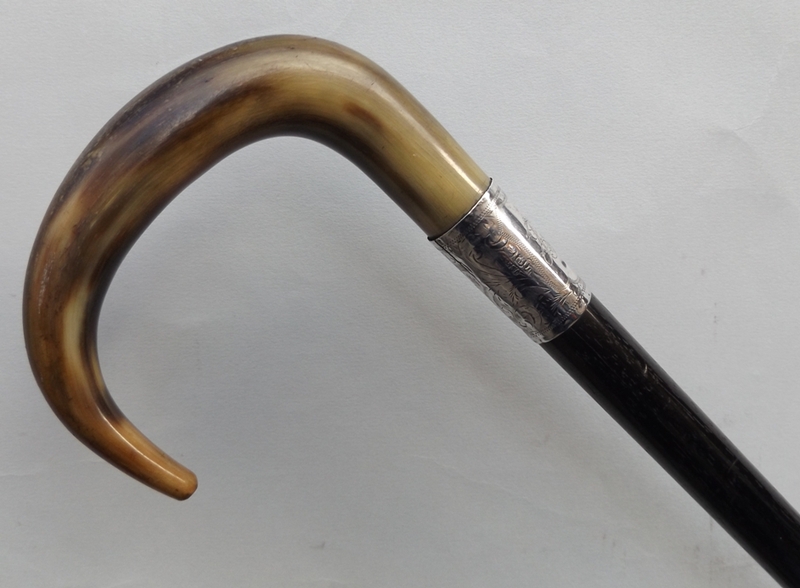 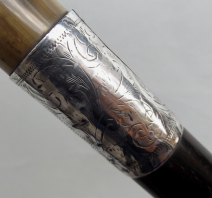 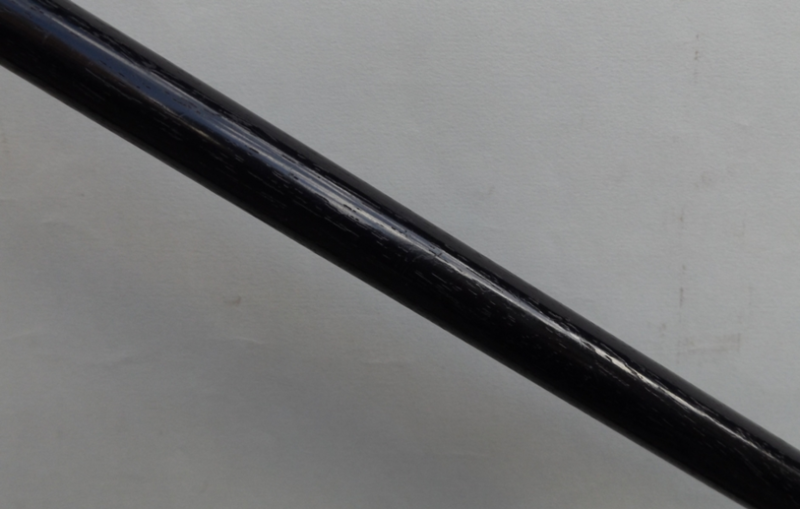 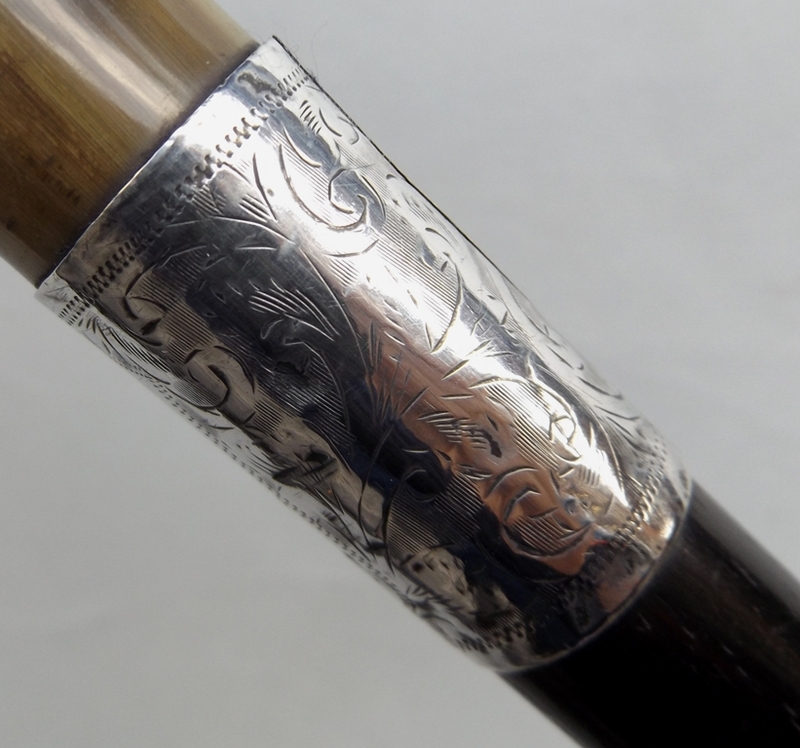 Stylish Ebonised Walking Stick with Cow Horn Crook Handle and ornate chased silver collar. 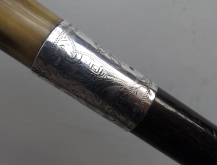 Silver mark of JS & Co. 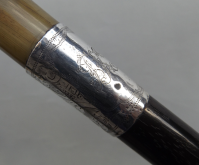 Condition: Good condition with nice patination few tiny dents on silver mount. Shipped to Henley, United Kingdom.